Mommy Moments: A Day at the Mall | To Be, To Be. Tutubi. 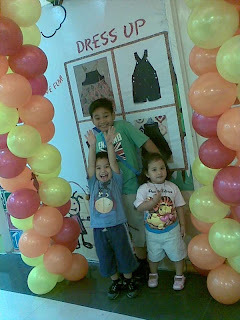 I had a hard time looking for a picture for this week's Mommy Moments theme and I realized that it has been such a long time since we went malling! Would you believe, the only pictures I was able to find were taken sometime in early 2008! Whew, that is such a long time since we went to a mall! And can you see how my kids enjoyed their day at the mall? I guess we have to do this again soon! Thanks Mommy Moments for reminding me! See more Mommy Moments entry here. 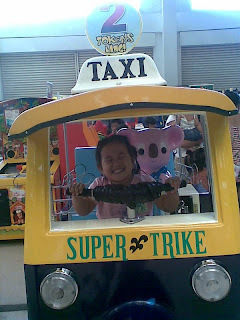 well, it seems to me you are one of the few who dont frequent the malls :) happy mommy moments! They seem to be enjoying. I do recognize the place. 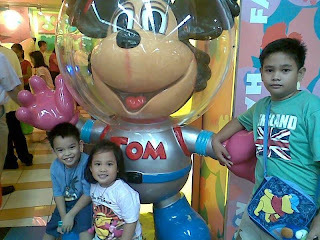 Is this Tom's World in Festival mall?